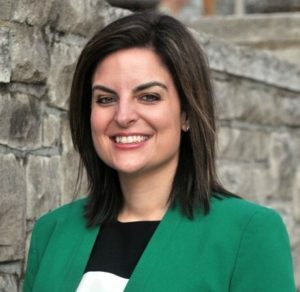 Representative Brigid Kelly began her term in the Ohio House of Representatives in January 2017. She represents Ohio’s 31st House District – which includes: Amberley, Avondale (part), Clifton, Columbia Twp . (part), Corryville, CUF, East Walnut Hills, Evanston, Hyde Park (part), Madisonville, Mt. Auburn (part), Northside (part), Norwood, Oakley, Silverton, St. Bernard, Walnut Hills (part). Rewarding her hard work and dedication, Rep. Kelly’s colleagues elected her as Assistant Minority Whip for the Democratic House and chose her to serve on seven committees. Representative Kelly has fought for the issues that impact the people of her district and all of Ohio. She has championed commonsense affordable healthcare measures for women, relieved Ohio’s families of unnecessary financial burdens, protected Ohio’s police, fire, and emergency responders, and fought to lift Ohio’s workers out of poverty (HB61, HB89, HB278, and HB 576). Prior to her election to the Ohio House of Representatives, Rep. Kelly served as Public Relations Director at United Food and Commercial Workers Union (UFCW) Local 75. Here she represented over 30,000 members in Ohio, Indiana, and Kentucky. Today she serves as Communications Director for UFCW Local 700 where she represents 13,000 members in the grocery and food processing industries. Brigid is a graduate of Saint Ursula Academy, earned an undergraduate degree from Xavier University, and a Master of Arts degree from the University of Cincinnati. She was born and raised in Norwood and served on Norwood City Council.